December often evokes reflection on the passage of time. Perhaps it is fitting that Christmas lies at this end of the year, and leads into the next, infusing the period with a sense of gratitude and hope. Measuring time lets us say, we made it. We made it through 12 months of political vacuity, culture war, environmental disaster and humanitarian crises. We withstood the sight of predators, one after the other; so many revealed across industries and institutions. We endured closer things: illness, breakup, loss and stress. The western conception of time as linear is useful in this sense. Things end. Soon we will be able to say, 'that was in 2017'. That could be consoling. But this linear sensibility can also keep us from confronting the things that linger. For instance, there is no fixed point to demarcate the past for Aboriginal and Torres Strait Island peoples. They cannot say, 'that was in 1788, that was in 1901'. It is all the time. They had hoped to recalibrate time from the point of treaty and a voice at Uluru last May. But they will not be saying 'that was in 2017' as if it were a bookend. It is now part of the library. Neither is time linear for the people we have abandoned on Manus Island and Nauru, who experience it as a series of brutalising experiences. The night Reza Berati died from a rock to the head. The short hours it would have taken to save Hamid Khazaei from sepsis. That October when power and water were finally cut at Lobrum. There is no Point B. What we know from resistance to social justice is that the conception of time as a single direction, like an arrow, is favoured by those in power. It does not pierce the realities of those who are historically oppressed. The linear past works like this: where it demands reparation, it is something to leave behind, but powerful people will revert to it in haste at the prospect of change, saying that the line is what it is. "What if, in entering the world as a baby and leaving it in death as a man, there is a cyclic element that asks more from people of faith than the passive comforts of the line?" Non-western cultures understand and treat time differently. For most it began as a responsiveness to nature, a mode of watching for cues in the environment to tell the right time to catch and harvest. This led to philosophical systems of time as cyclic and endless, rather than straight and finite. Things grow, wither, retreat, renew. There is no finishing point, but always work to be had. It is a framework that lends itself to fair-minded, decent people who are not satisfied with things as they are. And it is a threat to those who are cruising on the line, counting on stasis. For the most part, the Christian attitude is oriented to telos, a linear narrative where everything leads to the Godhead, as Pierre Teilhard de Chardin put it. But what if, in entering the world as a baby and leaving it in death as a man, there is a cyclic element that asks more from people of faith than the passive comforts of the line? The meaning of Christmas is found at Easter after all. What if time does have a moral arc, to borrow the words of Dr Martin Luther King Jr, and that it must be actively bent? What must give way? What must be born and reborn again and again in us? Nor is it linear for the West Papuans, robbed of their sovereignty by the Indonesians who rigged the vote after the Dutch moved out years ago and undergoing a slow-moving genocide ever since! The philosopher Charles Taylor writes about what he calls 'higher time' - how in earlier times it was believed that some moments in the calendar are connected through the ages, and that's why they're celebrated each year. Such that Christmas this year is somehow connected in time to the Christmas of last year, and the Christmas of Christ's birth, and every Christmas in between. I like to think that all the Christmases I celebrate are somehow connected together in this way - that those I've loved and lost are still present on that day, and those that I will love are also already present, and that all of those Christmases are somehow still occurring in this 'higher time'. One of my most moving and beautiful Christmas days involved travelling from cemetery to cemetery with my mother to visit all our deceased relatives. That day, in particular, it felt all those old Christmases were with us. What difficult questions you ask Fatima. Followers of Jesus can never be passive. We either take risks or the Holy Spirit is gently working away at our disinterest (or self-interest). I'm currently reading some of Gerard Manley Hopkins' work and these lines may be helpful. From 'The shepherd's brow': The shepherd's brow, fronting forked lightning, owns/The horror and the havoc and the glory/Of it. Angels fall, they are towers, from heaven - a story/Of just, majestical, and giant groans." Time is indeed linear if we regard it as a measure of the duration of something from some point in the past (or behind) to some point in the future (or ahead). T S Eliot put it more stylishly when he wrote in Four Quartets (Burnt Norton): "Time present and time past Are both perhaps present in time future, And time future contained in time past..." "Human kind Cannot bear very much reality.... "Only through time, time is conquered." Time conceptualised separately from space - the space within which we live and move and have our being -has no breadth, or height, or depth. The desire to live a happy and productive life might be achieved if we aim high, think deep, and spread the love broadly. 'Our moral arc must be bent'!! What if time does have a moral arc, to borrow the words of Dr Martin Luther King Jr, and that it must be actively bent? What must give way? What must be born and reborn again and again in us? Great question. Thanks Fatima. Thanks, Fatima, for this lovely wise article. It comforts me, not in the sense of "there, there, don't worry" but in the sense of evoking strength to live believing that how we live matters, towards a future envisaged by God that redeems the effects of past and current human injustices that claim to serve our lives. Jesus Christ's birth, death and resurrection are chairos moments for the creation and for all of us too. 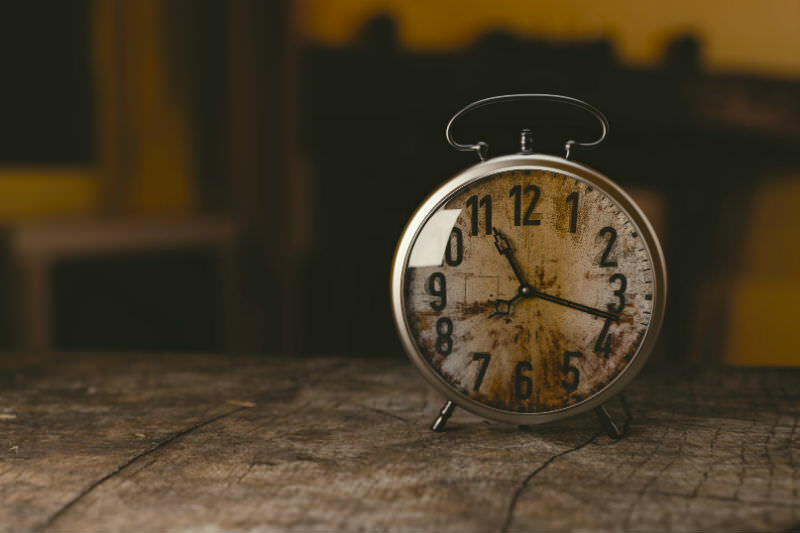 To live in that time simultaneously with linear time is always to be aware of God's larger picture and of the cosmic nature of Christ's actions in our world and of what effect our words and actions as followers of Jesus have in the world around us. It's a challenging call, but Jesus challenged his first followers along those lines. I guess he made it our challenge too - to keep calling out and naming the injustices continued by the powerful in every sphere of life. Fatima, a vert humane piece. But your time scales are actually very short by human historical standards. My "aboriginal" British peoples were crushed by waves of invaders: theRomans and then the Anglo-Saxons over a 1000 years; and then in turn the Anglo-Saxon way of life was destroyed by the Vikings/Normans. It took the remnant Welsh until the 16th Century to recover dignity, but resentments still simmer. The movement of Germanic peoples into Italy had devastating effects for hundreds of years, and that displacement in turn was driven by Eurasian peoples migrating West. Humans have been inherently migratory with inevitable trauma for those displaced or subjugated. Paradoxically, it is the rise of the relatively stable nation state, with fixed borders and the rule of law that disrupts this natural state, with some cruel consequences such a Manus! We pass not through time. It passes through us. Have you come across Ambelin Kwaymullina's writings? I can't remember the title of the piece she wrote, but part of it dealt with First Nations' understanding of time. It blew my mind.